The audio marketer on soul and her mission to be a category underdog. 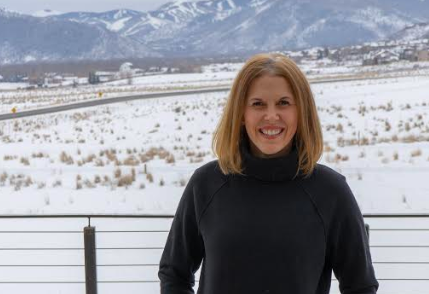 Jessica Klodnicki joined Skullcandy as chief marketing officer around a year ago. She’s spent her recent career leading several lifestyle and outdoor brands and has been applying that experience to returning the audio brand to its roots. Skullcandy brought its new north star of "Music You Can Feel" to life through a 29 episode series supporting emerging artists like Amber Mark, Smino and Princess Nokia by live streaming full concerts on YouTube and Facebook and launching it’s first podcast, "Ya Feel Me." The program, in partnership with the agency First Tube Media, created a rich content to commerce program which allowed the brand to capture its core consumers with exclusive access to up and coming artists and convert them to customers on its new website experience. Campaign US caught up with Klodnicki to talk all things Skullcandy. Consumer electronics has never been a more crowded category. What's Skullcandy's weapon in beating out the competition? Soul. The future headphone is immersive. Name Skullcandy's biggest challenge for 2019. Underdog. What forms the strongest agency partnership? Listening. What's the one decision you regret making this year? Zero. If you had to reinvent the word 'marketing,' what would you change it to? Captivating. What's your personal creativity catalyst? Outdoors.